You are a serious foodie and you have a family. Not always easy to combine these two things, right? Surprise. Here you can. 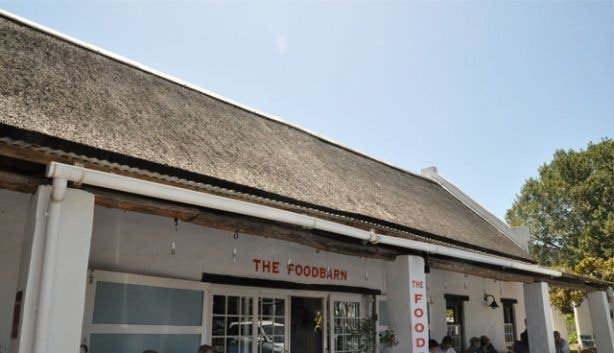 The Foodbarn Restaurant and Deli is definitely a main attraction at the Noordhoek Farm Village. The focus is on family and friends and on enjoying beautiful affordable food in a relaxed and child friendly setting. I’m sure you’ve heard about the Foodbarn. Franck Dangereux? Exactly, the French chef is the award winning star here. Pete de Bruin is just as important though, being the business man behind the scenes and an excellent host. Long ago, the two men met in a restaurant where Pete worked while studying. Franck from France was visiting his cousin in South Africa. Pete remembers: "I couldn’t speak French but Tequila helped. 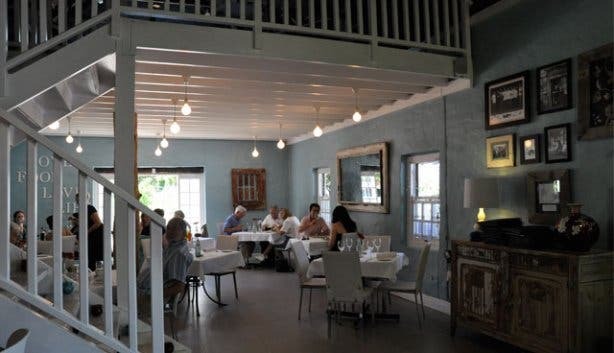 That night in the Red Sails Restaurant in Hout Bay we promised each other what happened 25 years later: we opened a restaurant." 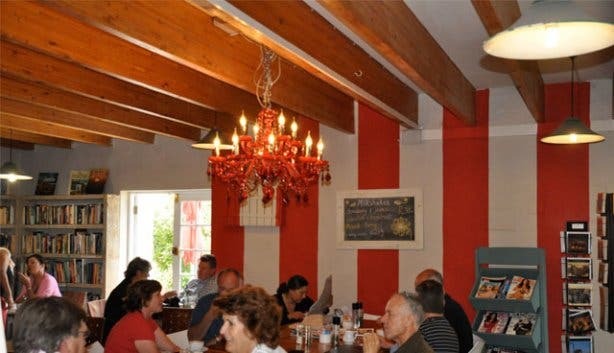 The Foodbarn Deli and bakery is located in the Noordhoek Farm Village Cellars. 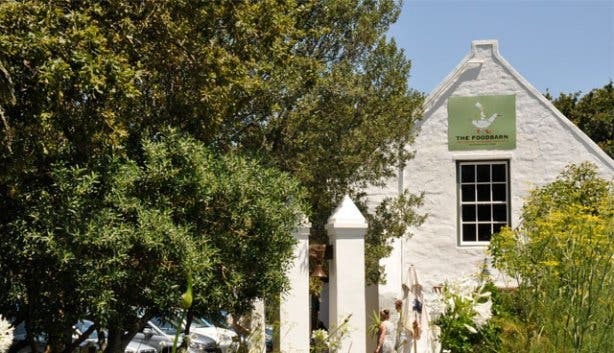 Chef Franck Dangereux’s created and loved La Colombe on Constantia Uitsig which was awarded 12th place in the San Pellegrino 50 Best Restaurants of the World Awards 2010. With his fine dining background he worked in many amazing restaurants. But after a while, "I wanted to spend more time with my family. So I created a restaurant with Pete that became our favourite restaurant; a place where you can come with your kids and your dogs and have real good food. 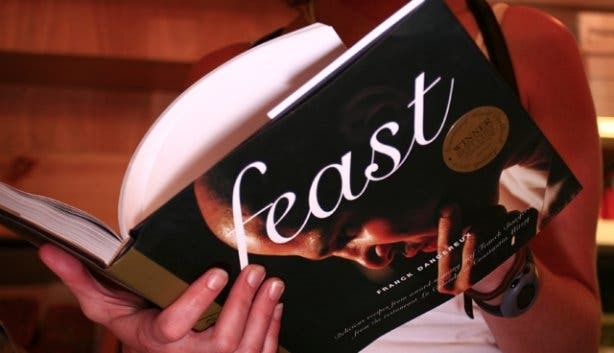 My idea was to put fine dining on the streets." 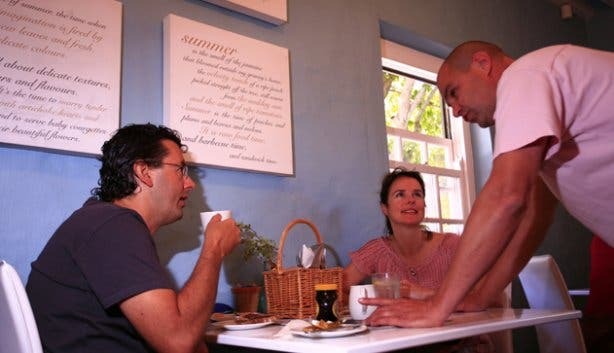 At The Foodbarn," what you see is what you get;" that’s how Franck’s business partner Pete de Bruin describes the vibe. 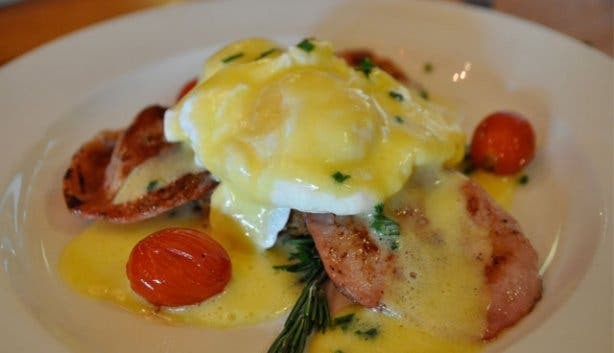 As we sit and chat at The Foodbarn Deli after a divine breakfast of Eggs Benedict served with bacon and potato cakes (the first thing they ever had on the menu), I notice locals and tourists enjoying the culinary excellence in a comforting atmosphere. An amazing vibe reigns here; friendliness, a happy and welcoming atmosphere. "Locals keep me going through winter" says Pete who seems to know most of his customers. After spending some time at The Foodbarn Deli, I already decide to come back very soon. Everything here is open plan, a feel of openness that Pete and Franck also have when I chat to them. This place is rustic, authentic and not over the top - definitely not what you would expect with Franck being such a super-chef. The kitchen staff gets up super early to start baking fresh bread for the day from 3am onwards. Coffee beans are sourced from 'Bean there' and they only choose beans from African countries for their delicious coffee. Locals call this a coffee hot spot. 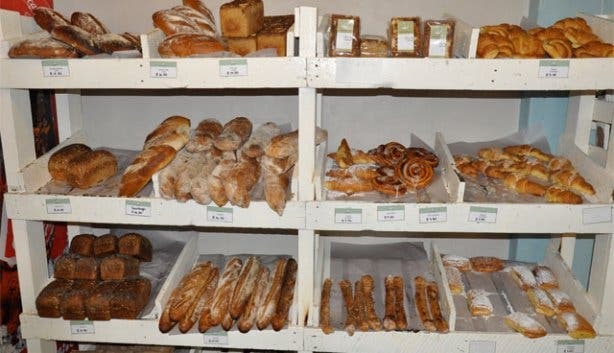 At the deli, lots of freshly baked goods are made: cakes, pies, jams, jellies, biscuits, muffins, pastries, breads; plus, they also sells local wines, local cheeses and a few convenient items since there are not a lot of shops around here. 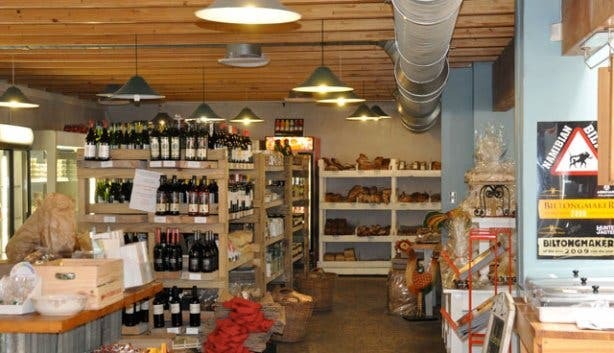 The food is healthy, delicious and produced using finest quality locally produced products they can find: "We try to make everything ourselves, if possible. Everything is local, recycled (check out the awesome shelves) and environmentally friendly. It’s about knowing your environment. Where we can, we try to make it organic." For lunch you can order sandwiches, salads, or daily creations from the specials board. The emphasis is on home-made deliciousness with a Franck Dangereux twist. "It is what we like to eat," says Pete. People enjoy coming here, because all they have to do is sit down and enjoy. Another great feature is the Barn Bookshop which has been running for five years. All the books are second hand and many locals use the bookshop as a meeting place and most 'recycle' their books through the bookshop. Franck loves to experiment and, although he grew up with a French cuisine background, he likes to combine it with elements of Caribbean, Greek, North African, Thai and Indian cooking styles. His food is prepared with love, respect, knowledge and again, love! "It’s about the knowledge of fine dining,” Franck tells me, “I took it down a couple of nudges. The cutlery is not fine dining, there is no silverware. There’s parking in front of the door instead of a beautifully manicured garden. But here you get the fine dining experience for half of the price." 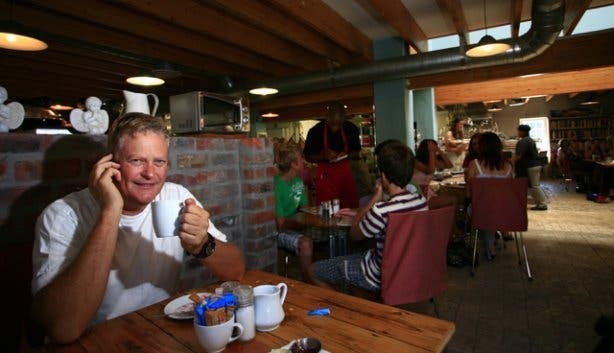 The Foodbarn Restaurant is simply a family restaurant for adventurous people with an open door to children. Both, Franck and Pete have two kids themselves. 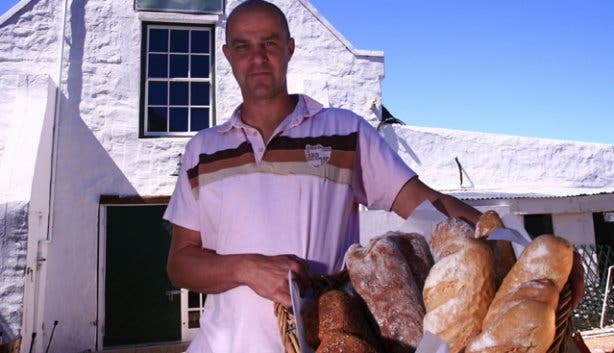 Franck is so passionate about sharing his knowledge and getting people to enjoy excellent food that he runs free interactive cooking demonstrations at The Foodbarn Restaurant during winter (May –October). The aim is not to teach but to encourage people not to be scared of food: "Don’t always cook the same old dishes. We’re trying to get people to eat better." All food is based on the finest freshest ingredients – very aware of the earth so all produce are sourced within the local area and nothing more than 100km radius. Wines are chosen to match the meals and the setting is a thatched roof building where bare feet are welcome! 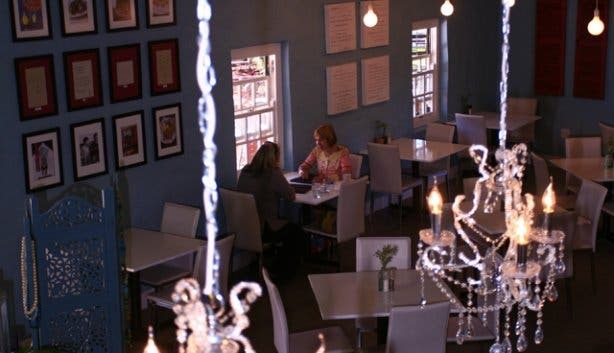 Some of the best value fine dining you’ll find anywhere in Cape Town (R195 for a 3-course meal). "It’s all about where we are in our lives. It is not about winning awards, it is about creating a space where we can express what we want. It is about giving stuff back, it’s not about the money, it’s not about ourselves. We all support each other and we like to have fun here." says Pete with Franck adding, "We created something that we think we can build on. Life is simple, keep it simple!" Enjoy your cuppa coffi with your lapi and free WIFI. The Foodbarn is also becoming a popular wedding destination (or functions) – they can take 120 people with a dance area if required. Choice of menus with 2/3 choices of starter, main and desserts. No venue hire but exclusivity based on 90 people. In-house function co-ordinators from decor to flower arrangements, music, photographers etc.